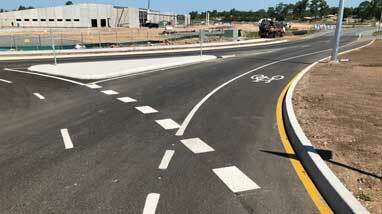 Roads, Carparks, Warehouses, sporting stadiums and more, GC Linemarking do it all. Contact our professional team now. 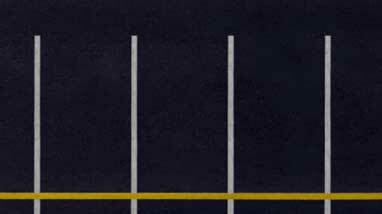 If you are searching for quality road and line painting services that will stand the test of time, look no further than GC Linemarking. We are a locally Gold Coast owned and operated family business servicing a wide range of clients across the entire state of Queensland & Northern NSW. Our friendly and experienced team are committed to the highest standards of excellence on every project, from initial consultation right through to the projects completion. The best part is, with GC Linemarking, you can expect quality workmanship at very competitive prices. 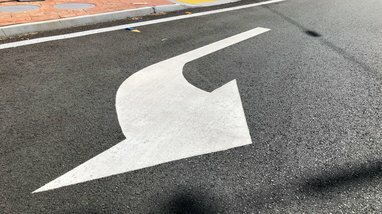 Our skilled team use innovative techniques to ensure highly visible line markings resulting in not only a great looking car park, but one that is easy for vehicles to utilise and safe for pedestrians. 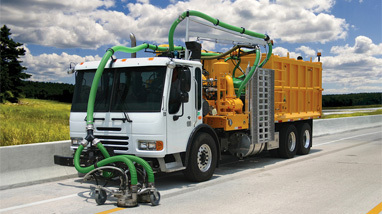 In conjunction with Asphalt Pattern and Paving, we use a proven method of asphalt stamping and coating suitable for all types of development and applications. Choose a pattern or create your own specific design. 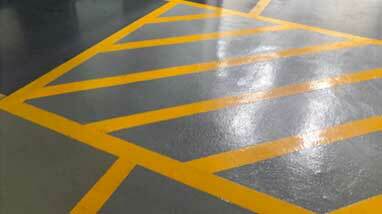 Take advantage of our years of experience creating car park line markings for all sizes of car parks. 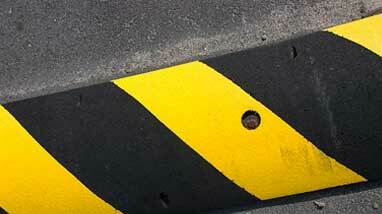 Our line marking teams are experienced and trained to such high standards that they can undertake any project. 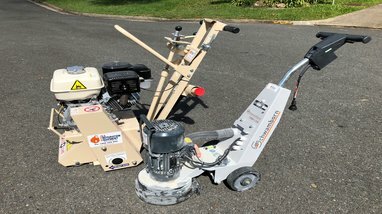 Our rejuvenation and damage free line removal services will have your surfaces looking as good as new, providing you with the perfect base for your any future line markings or surface coverings you are planning. 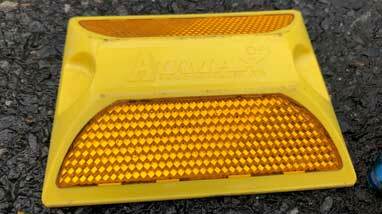 We provide raised pavement markers to suit your requirements, whether you have a small car park that requires reflective studs extra safety or you need raised markers for an entire stretch of highway. Our Thermoplastic markings are ideal for a quick and easy way to permanently mark or reinstate carpark markings, providing a hard wearing, long life, cost effective solution that can be used within minutes of application. We offer a wide range of wheel stops in both rubber and concrete and are the preferred choice of car park operators, retail parks, airports, commercial and industrial sites throughout the Gold Coast. 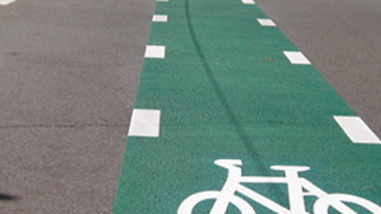 GC Line Marking can install and maintain a variety of speed control measures and associated signage within the public highway laws. 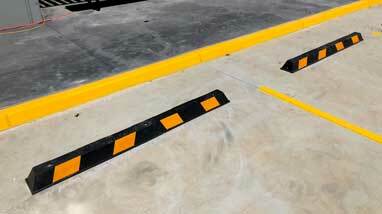 Speed humps are an extremely effective means of controlling vehicle speeds. 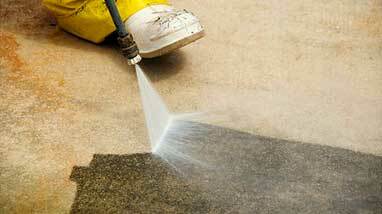 Commercial, industrial and domestic pressure cleaning services, specialising in hot and cold pressure washing and steam cleaning of exterior surfaces that improve the appearance of your property. Solid floor coverings using only the latest, highest specification products currently available. Our highly skilled team can visit you on site to provide advice and create the best solutions for your needs. 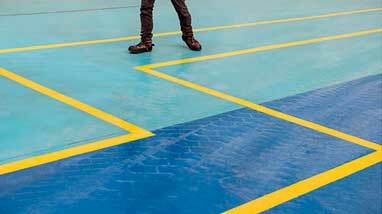 Factory and industrial site line markings for your health and safety walkways, racking system positions, bay markings, forklift routes, speed limits and more. Our coatings use only the best, high specification products.